In remote areas or regions with unstable public grids, a continuous supply of electricity - independent of the public grid - is required. 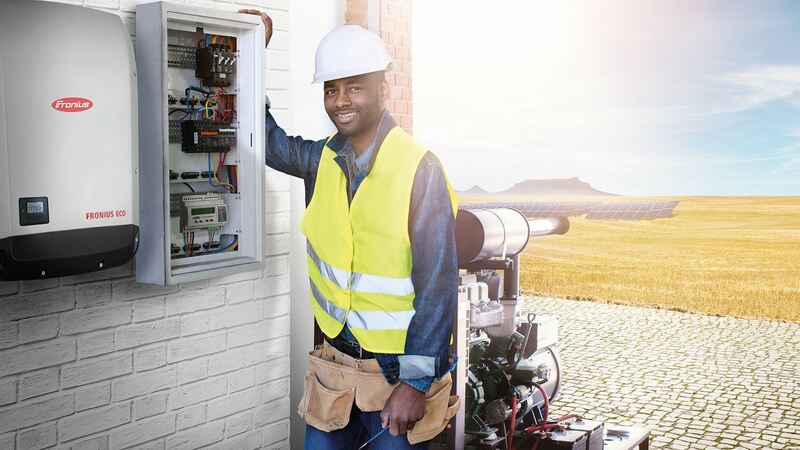 As it makes complete financial and ecological sense to integrate photovoltaics into off-grid or backup systems of this kind, Fronius offers perfectly coordinated solutions for these applications. We differentiate between microgrids, which are typically operated by inverter chargers, and grids that are powered by diesel generators (gensets). Both systems are most effective with AC-coupled inverters. At Fronius, we don't just consider the product - we focus on the solution as a whole.